This stunning design piece will bring a breath-taking sun rise into your room every day. 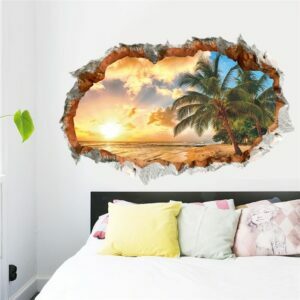 Sunset Sea Beach Wall Decal is a high quality and durable plastic, industrial wall sticker and is on sale now, for a limited time only. Buy-it-now and have Free World Wide Shipping. The Funky Colored Sticker features a floral design convertible car that is surrounded with butterflies in flight, spreading their wings as they fly away into the distance. This high quality and durable plastic, industrial decal sticker is on sale for a limited time only. 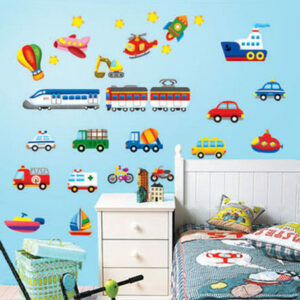 Size: 150cm x 170cm – when stickers are set up as in picture.